Over the last decade, science writing has moved from the straightforward explanation of science to co-called narrative non-fiction, in which the author attempts to tell the story of the scientists as well as the science, stimulating both the emotions and the intellect of the reader. More recently, there has been another step in the evolution of science writing, whereby authors have added varying degrees of fiction in order to convey the ideas and excitement of science. Last year Tom Petsinis published “The French Mathematician”, a fictionalised memoir of the romantic and tragic nineteenth century genius Evariste Galois. Then came Andrea Barrett’s excellent “Ship Fever”, a series of short stories involving fictional characters and scientific heroes such as Mendel and Linnaeus. 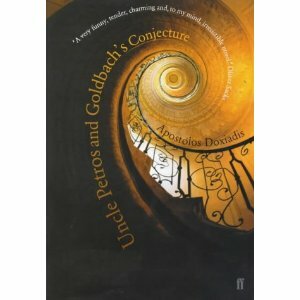 Now we have “Uncle Petros and Goldbach’s Conjecture” by the polymath Apostolos Doxiadis, who at various times has been a mathematician, entrepreneur, film director, novelist and composer. Petros Papachristos’s story is told by his nephew, a budding mathematician who views his uncle with a mixture of admiration and melancholy. 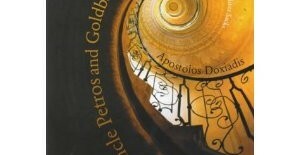 Petros’s life has been dominated by one all-consuming passion, namely a desire to prove the infamous Goldbach conjecture. In 1742 the Prussian-born Christian Goldbach suggested that every even number bigger than 2 is the sum of two prime numbers, e.g. 6=3+3, 8=5+3, 10=7+3, …. (A prime number is one that cannot be divided by any number except 1 and the number itself, such as 5 or 7. The number 8 is not a prime because it can be divided by 2 and 4.) For two hundred years, every even number that has been tested has obeyed Goldbach’s conjecture, but nobody has ever been able to prove that the conjecture holds true every even number up infinity. Petros remains undaunted and, in his attempt to turn the conjecture into a theorem, he encounters many of the great mathematicians of the first half of the century, including Hardy, Littlewood, Ramanujan and even the young Alan Turing. The author conjures up a detailed and delicate picture of what it is like to be part of the community mathematicians and gives a real sense of what drives the mathematical mind. He occasionally introduces the reader to some elementary mathematics, but never to such a degree that it inhibits his narrative. Instead, he focuses on themes such as obsession, madness, sacrifice, failure and the admission of failure.